Vikram is the founder of Vmaskers, and a professional pentester. He has led 100+ pentests over the past years, compromising highly sensitive and secured enterprise networks. His primary responsibilities in his recent job roles were to look after enterprise network security, manage security automation and build internal tools to fight security attacks. He has also discovered serious security flaws in many unique product giants all over the world. 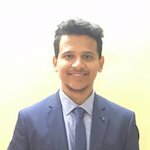 He has worked in various domains including Pentesting, Reverse Engineering, Fuzzing, Exploitation ,Source Code Auditing and Mobile application security research. He has also previously spoken and trained at numerous security conferences all around the world including CHCon, OWASP AppSec Africa, CrikeyCon, CanSecWest, OWASP New Zealand Day, NolaCon, LayerOne, ShakaCon and more. He helps the InfoSec community by uploading daily 2 videos on Youtube (https://www.youtube.com/VikramSalunke).